Yesterday we had some abnormally gorgeous weather for this time of year. 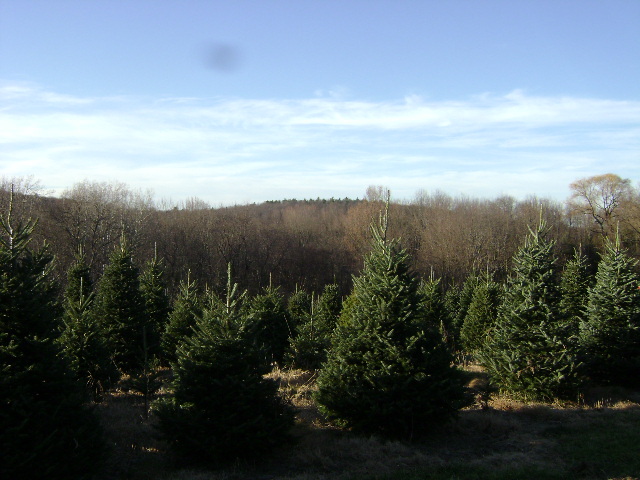 Since it was such a nice day, we decided to go and pick out our christmas tree. We went to this little tree farm not far from the house, because you are allowed to search through the mini forest and cut down the tree of your choice. I’m all about new experiences and making new traditions, so with saw (and camara) in hand we (T, her Mom and I) went trekking through the thicket of trees. And guess what….It was definitely not as simple as I thought it was going to be! 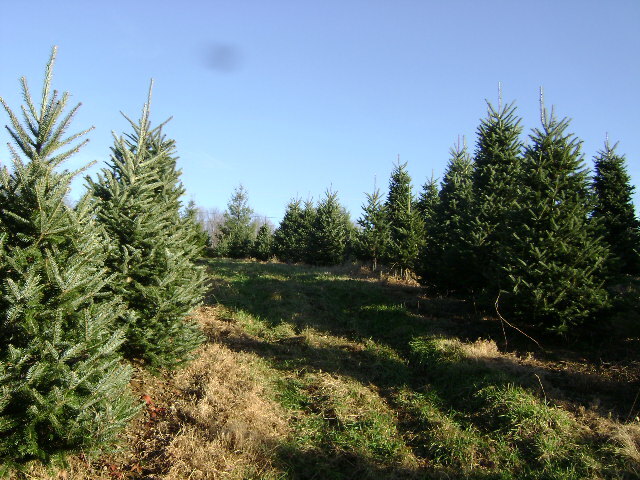 There were hundreds of trees to pick from! And that was only the one section that contained only one species, there were at least three or four other sections of trees! Yowza! It took us forever to find a tree that we all liked. If it was a good height, it wasn’t a good shape. If it was a good shape, it wasn’t a good height. Who knew picking a tree could be so challenging. After an hour or so of searching, we finally found one that was good enough to take home (or maybe it wasn’t, we were just so tired of walking up and down the steep hill that it looked real good to us). T cut it down and lugged it back to the building where it was measured (7 feet at $6 a foot! Yikes! ), bundled, and tied to the top of the truck. Regardless of the price, it was a fun experience. 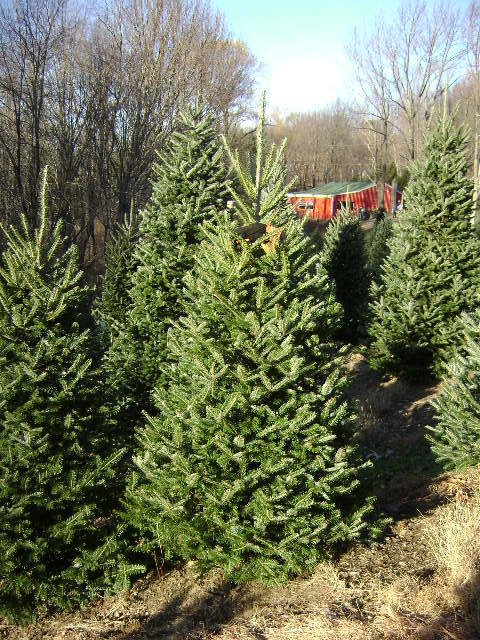 The tree we finally decided on. I love it. Make sure you post photos of him all decorated.